Seven years ago, the centennial of the gift of cherry blossom trees to Washington DC was celebrated with plantings of cherry trees in every state. Varieties were selected to succeed in several different climates. Dr. Tetsuyo Koyama, retired botanist with the New York Botanical Garden and Kochi Makino Botanical Garden, currently is a resident of Hawaii. 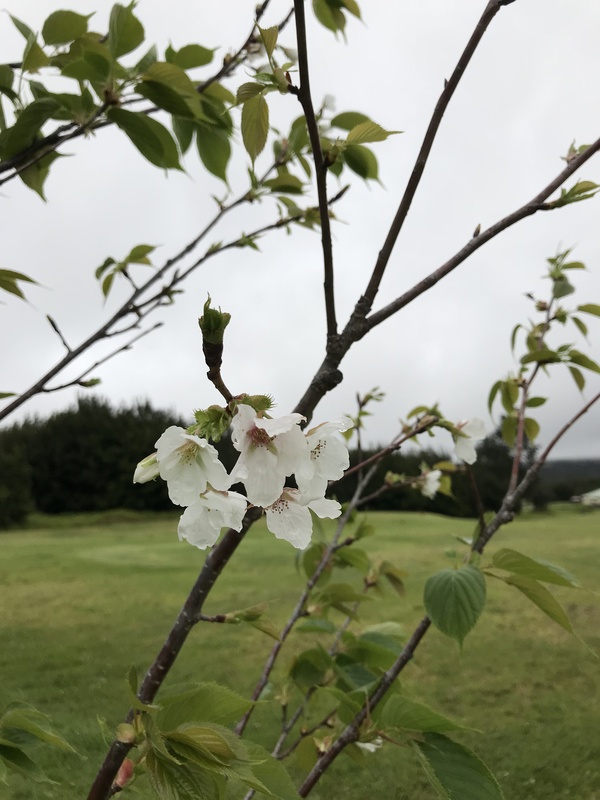 He did the research and provided assistance in obtaining seed for cherry trees deemed suitable for Hawaii’s climate, particularly at higher elevations such as Volcano and Waimea, Hawaii County, and Wahiawa, Honolulu County. After the Cherry Tree Alley Committee completed its work for the 2012 centennial, the Hawaii Sakura Foundation was formed to continue efforts. 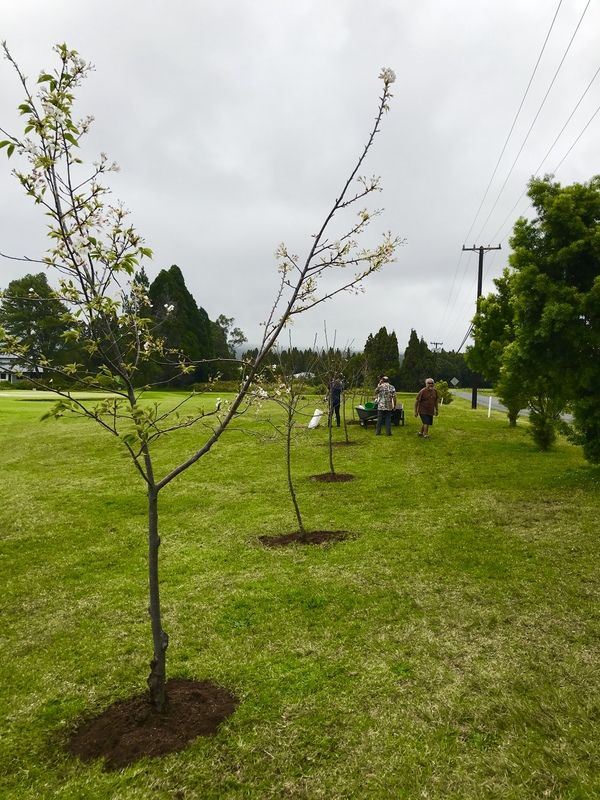 Cherry blossom trees were planted along Piimauna Drive at the Volcano Golf Course in 2012. They started flowering in 2014 and have flowered again every year since that time. 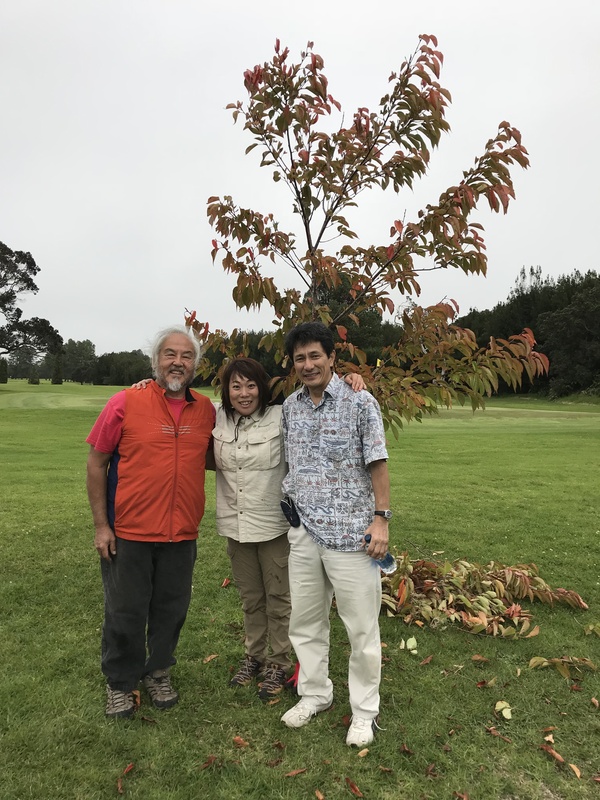 In December 2017, Ms. Seiko Fujii, a sakura mori, visited Hilo to give a workshop on cherry trees followed by hands-on training on the Volcano trees. To learn more about the Hawaii Sakura Foundation, please view a video on their website.